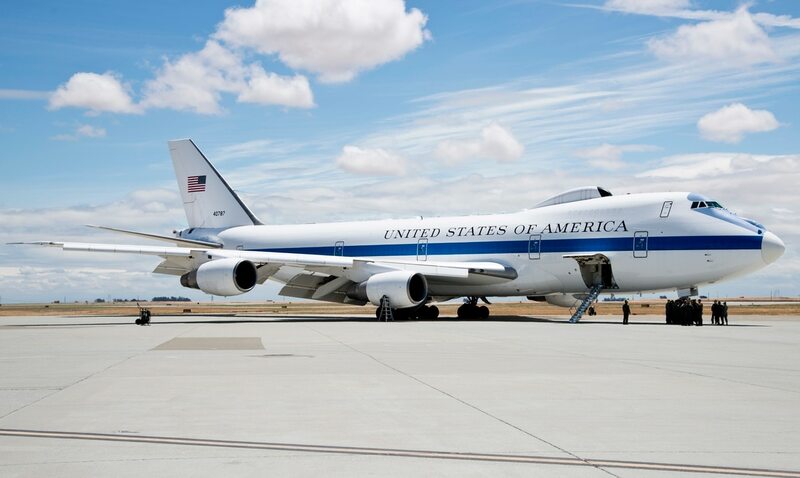 WASHINGTON — The U.S. Air Force is looking to replace three aircraft — the E-4B command post, the C-32A executive airlifter and the Navy’s E-6B command post — under the purview of a single program known as NEAT. Air Force Materiel Command posted the request for information Tuesday for NEAT — otherwise known as National Airborne Operations Center (NAOC), Executive Airlift, Airborne Command Post (ABNCP), Take Charge and Move Out (TACAMO). The RFI comes after an April Senate hearing where Gen. Robin Rand, the commander of Air Force Global Strike Command, said it was time to get “very serious” about replacing the E-4B and E-6B. While the RFI provides little information into what is specifically sought, it does ask for companies' experience in commercial derivative military aircraft and joint work with other businesses. It also asks companies to propose a “recommended technical solution” for the NEAT program. The AoA process can often take more than a year to complete, and is used to provide information for a possible proposed acquisition strategy. The E-4B National Airborne Operations Center is based on a Boeing 747 and is used to command U.S. forces worldwide, particularly nuclear forces in the case of an emergency; it has sometimes been referred to as the “Doomsday Plane." It’s also used to transport the secretary of defense and his staff. The aircraft is known for its almost all-white paint scheme and the communications node on top. It is operated by Air Force Global Strike Command from Offutt Air Force Base, Nebraska, and entered service in 1974. The Air Force has four, although two were damaged during heavy weather in the summer of 2017. 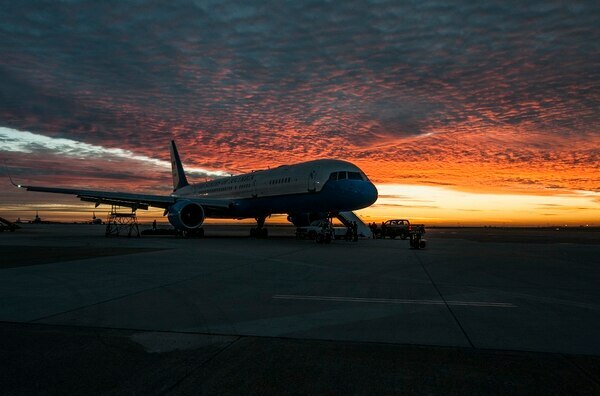 The Boeing 757-derived C-32A is often seen transporting the vice president or first lady, and, as a result, has been called “Air Force Two.” Four are based at Andrews Air Force Base outside Washington. The aircraft are relatively new, having entered service in 1998. 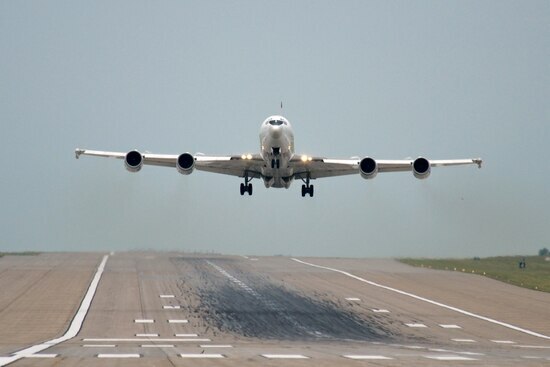 The Boeing 707-derived E-6B Mercury, or the Take Charge And Move Out, belongs to the U.S. Navy, and is likely included on the RFI because of its capability. The aircraft can relay orders to both Navy ballistic missile submarines and Air Force intercontinental ballistic missiles across the American west. The E-6B was originally designed to only communicate with submarines, but it inherited the Air Force mission after the service retired aging EC-135s. This isn’t the first move to develop new capabilities to relay commands to Air Force ICBMs. In October 2017, the Air Force awarded contracts to Lockheed Martin and Rockwell Collins to develop the Airborne Launch Control System Replacement, or ALCS-R. At the time, an Air Force official with knowledge of the ALCS-R program told Defense News that the service was looking to replace the airborne mission equipment on the Navy’s 16 E-6Bs and in 450 launch control centers, which hadn’t been updated since the 1960s. Could the Air Force restart the C-17 production line?